A start-up business is already planning global expansion through the launch of its much-anticipated online platform which promises to revolutionise the process of university applications and placement for international students. StudyAtlas has created a ‘one stop shop’ for students around the world to search, compare and apply for university courses through one single website – currently, international students apply for courses via an agent, where fees can be up to £2,000. 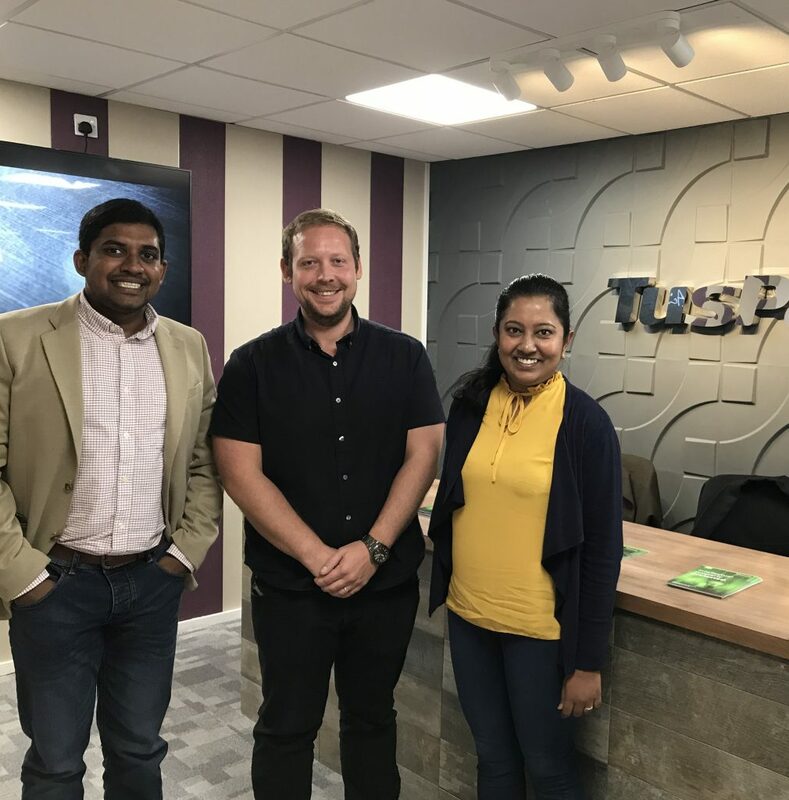 Now, the business – founded by husband and wife team Asanka Jayaweera and Buddhika Herath, who moved to Newcastle from Sri Lanka to launch StudyAtlas – has been hailed as a means to both simplify and improve the application process for both the student and the university. StudyAtlas will initially offer university courses in the UK, Australia and New Zealand, with partnerships in Nigeria, India and China planned for the near future. Global expansion into the likes of the United States and Canada will be the next phase of development. StudyAtlas, based in TusPark Newcastle – a hub for start-up tech businesses with high growth potential – goes live this week. Asanka said: “We are disrupting this inefficient and outdated system for international student recruitment by fully automating the admissions process for students and universities. StudyAtlas aims to become a complete one-stop source for prospective international students to explore, compare and apply to courses around the world. “Students can go through the entire user journey themselves. We guide each stage of the process and operate in a completely transparent manner in a market that can be open to corruption. “Our service is free and impartial to students, who currently could pay the agent anything up to £2,000. The application will be reviewed and improved by StudyAtlas team and then goes directly to the university. The platform will alert the student if anything is incorrect or incomplete before they submit. The student only needs to fill in their details once and this can be used to apply for as many courses as they want. StudyAtlas is saving them time and money. “For universities, the process is more efficient and they have direct contact with the student too. We have worked closely with universities in creating StudyAtlas to establish what the issues are they face and what they feel needs to work better. StudyAtlas is being supported in its growth and development by law firm Sintons, based in Newcastle. Sintons is a specialist in advising start-up and tech businesses, and has been chosen by TusPark Newcastle as its partner law firm. Luke Philpott, solicitor in Sintons’ corporate and commercial team, who works closely with TusPark and its tenants, said: “StudyAtlas is a hugely exciting business, which has created a platform that can truly revolutionise the process of degree course applications for students and universities around the world.